The exteriors of this place will definitely make you believe that Hotel Hibiscus Hebbal really believes in giving you a pleasant experience. Its super-modern interiors give off a sense of well-preserved beauty. 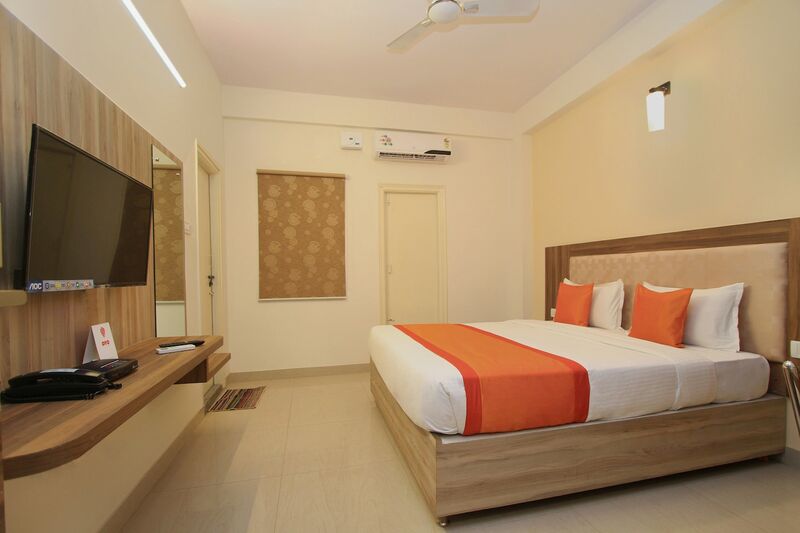 The furniture in the room makes the stay convenient for the stay and a window installed makes sure that your room always stays fresh and well-ventilated. The soft shades of the decor feel inviting and welcoming. With free Wi-Fi, it gives you the opportunity to connect with internet for all the latest updates. Card payment option offered by the hotel adds to the convenience of the guests. With power back up and elevator as other amenities, this place is really a bliss.